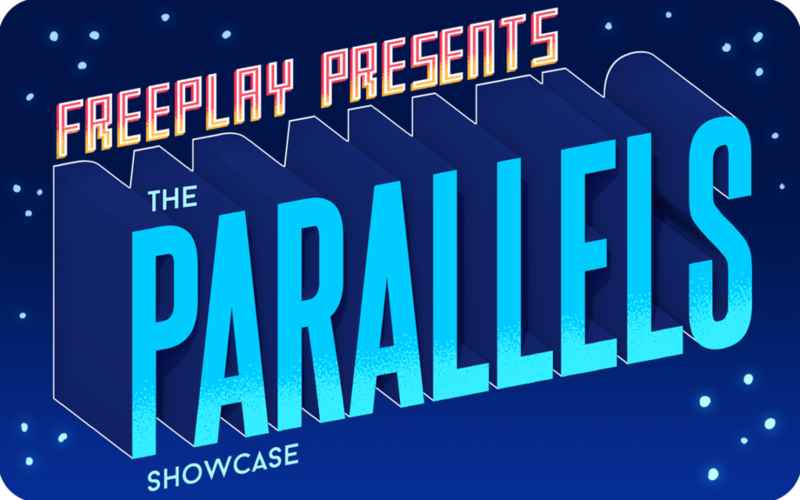 Announcing Parallels: Freeplay’s 2017 Showcase! We’re excited to announce that Parallels is back this year and is officially part of Melbourne International Games Week! From the artsy, to the weird, to the provocative, to the punk. For over ten years, Freeplay Independent Games Festival has been exploring these vital margins of games culture in Melbourne and Australia, from bedroom coders, to artists exploring the possibilities of games, to game culture’s punk rockers and agitators. 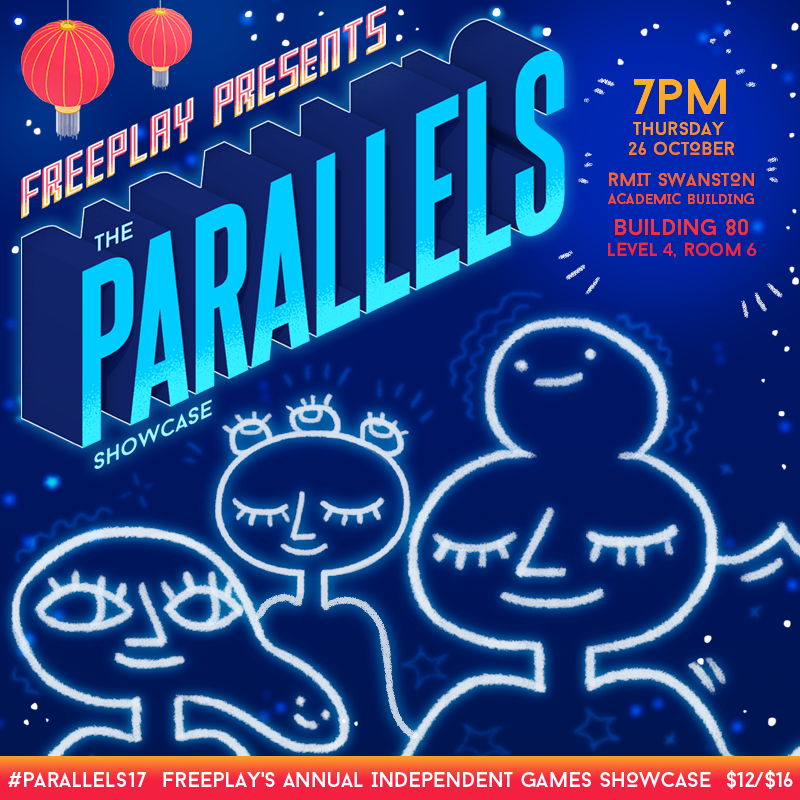 Parallels highlights some of the most intriguing, experimental, unique, and alternative games being made at the fringes of Melbourne and Australia’s independent games scene today. We are now a month away from our 2017 Parallels showcase! Come and watch as local designers demonstrate and play their creations live on stage, and discuss their influences and creative passions. Discover new games and game makers, and find out what makes them tick. We would love for you to join us on a journey to reveal the artistry and talent of Australia’s independent game makers. We have a very exciting lineup of games, including Wayward Strand by Ghost Pattern, Totem Teller by Grinning Pickle, and Action Loop by PlayReactive. We can’t wait to share it all with you! Check #Parallels17 on Twitter for our reveals. We’re very proud to have worked with Sydney-based Teja Godson on our Parallels visual branding. Teja did a fantastic job, and was an absolute pleasure to work with. We’d love for you to check out her work! Please book your tickets online, you don’t need to print them. Seats are limited so book soon! We have an early bird discount if you’re booking for two. Doors open at 6:45PM for a 7:00PM start. If you’re a journalist and would like to come along, send us an email at media [at] freeplay.net.au and we’ll organise a press pass for you. See you on the 26th of October!